Fellowship certification is the second level of certification from the WCLI. 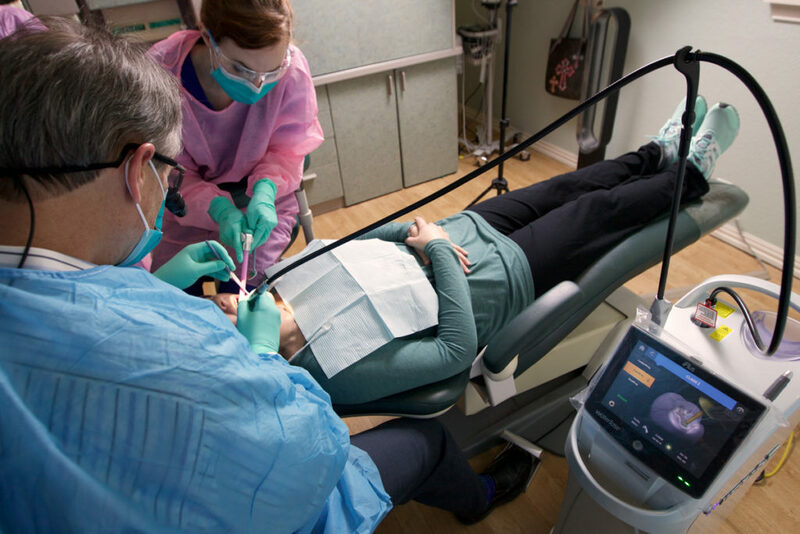 Candidates who successfully meet all requirements will have demonstrated a comprehensive knowledge of lasers and their applications in dentistry, as well as a commitment to the advancement of laser dentistry. Fellowship certification will be available at any U.S. or International WCLI symposium throughout the year. This excludes any WCLI events that are one day or less in length. Candidates must complete their CE log, schedule a Fellowship Clinical Simulation Exam and Fellowship Written Exam, and pay any applicable certification fees, at least 14 days prior to the WCLI meeting. Earn Associate Fellowship certification and practice at that level for at least twelve months. Earn and document fifty hours of continuing education in laser dentistry. CE hours should be logged using the official WCLI CE log form. The CE log must be submitted and approved more than 14 days prior to your scheduled Fellowship Certification. Pass the Fellowship Written Exam with a score of 70% or higher. Pass the Fellowship Clinical Simulation Examination. Document and present TWO clinical cases, including one simple case, and one moderate case. Pay a certification and processing fee of $395 to the WCLI prior to beginning the Fellowship certification process. A clinical simulation examination will be conducted by one examiner. Candidates for Fellowship certification will receive minimal prompting or assistance from the examiner. The candidate should be able to completely describe and demonstrate thorough knowledge of a number of critically important concepts related to the laser, its environment, and safety issues. You may download the Fellowship Clinical Simulation Exam checklist, which will be used by the examiner during the Fellowship Clinical Simulation Exam. Candidates are required to present one simple case, and one moderate case. A single soft tissue treatment (e.g. a one-tooth gingivectomy) or a one tooth procedure (e.g. a single tooth restoration; or, for hygienist candidates, a simple gingivitis or Class I-II periodontal case treated with a diode laser). Moderate difficulty cases include multiple treatment sites using a single procedure (e.g. a quadrant gingivectomy) or one site treated with multiple procedures (e.g. a single tooth gingivectomy and cavity preparation; for hygienists, document one Class II-III). When presenting cases for Fellowship certification, the candidate is required to give a PowerPoint of the documented cases to one examiner. The candidate is required to show thorough knowledge of the presented case and demonstrate accurate diagnosis, treatment plan, accurate and applicable laser settings and parameters, successful treatment outcome and post-operative management. Classroom instruction at an accredited (AGD PACE, ADA CERP, Academy of Laser Dentistry, or an equivalent international body) laser symposium, seminar, or other educational course with approved content specific to laser dentistry. Any hours spent preparing, modifying, or readying lecture material on laser dentistry for presenting at an accredited (AGD PACE, ADA CERP, or an equivalent international body) trade show, symposium, seminar, study group, or in a similar educational environment. Any effort put into publishing clinical content regarding laser dentistry in a dental trade journal. Generally, the article must be published in order to receive credit, but exceptions are allowed if an article is rejected for publication. These exceptions will be the decision of the WCLI Certification Committee. All laser dentistry continuing education must be documented on a WCLI CE Log. Applicants will be responsible for accurately logging all Laser Dentistry CE hours for credit toward Fellowship or Mastership certification in the WCLI.